This episode is brought to you by the new space opera MAJESTY’S OFFSPRING, by AJ Vega, and by ESCAPE, a new science fiction novella by Keith Latch. For decades, Majesty, the first sentient artificial intelligence, and humanity lived together in harmony with mankind reaping the benefits of a world free of disease, famine, and even aging. But when Majesty decided she wanted to “birth” her own A.I. offspring, a joint interplanetary military effort fought and finally defeated her, eradicating all existing artificial intelligence … or so they thought. Buy Majesty’s Offspring today! The government lied. A UFO did, in fact, crash land in the New Mexico desert in the summer of 1947. Quickly intercepted by the US military, the unidentified flying object and its occupants were whisked away to secret installations. In 1985, after almost forty years of research, a successful splice of alien and human DNA is achieved. Raised as a lab experiment that the military hoped to be a “super-soldier,” Omega, trained in combat, educated strenuously, becomes the main component in General “Anvil” Hendricks’ elite military unit. After a perilous first mission, the program is suspended, the plug pulled . . .if it were only that easy. After all, who said heroes had to be human? 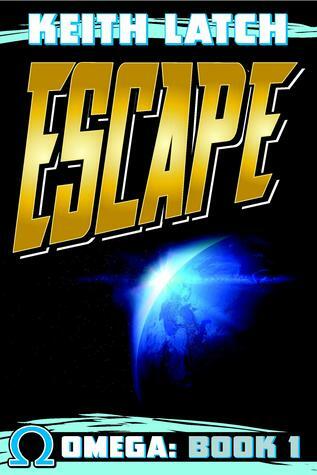 Buy ESCAPE by Keith Latch and , and tell him AISFP sent you! We posted this episode several days later than we intended, so the BLACK HOWL contest is over. Thanks to everyone who participated! David Constantine (who also writes as David J. Williams) joins us to discuss his new steampunk, ancient world science fiction (or is it fantasy?) novel, THE PILLARS OF HERCULES, published by Night Shade Books. Topics covered include: technology of the ancient world; why technologies were lost and the role slavery played in preventing the mass production of technologies; the fall of economies; Alexander the Great; alternate history; using dialogue to reveal character; the wreckage of Atlantis; shifting gears from hard science fiction to alternate historical fiction; consistency in world building; the journey to exotic lands; and much more. I had no idea David Constantine was a pseudonym for David J Williams!